Ralph Lauren and Tommy Hilfiger should need no introduction to anyone who has even a casual interest in the world of fashion, and the two are certified icons in a world littered with copycats. The two have made their marks in the fashion world by way of innovative lines that bring together the best of innovation and quality. Both designers cater to the higher end of the fashion world of course, but they do have some key differences. This comparison article should clue you in to some of the more significant ones. Judging from the companies’ respective websites, both Ralph Lauren and Tommy Hilfiger seem to focus heavily on neutral aesthetics, with much of their product lines featuring conservative pastels and tasteful designs. Nevertheless, innovative fashion also seems to be a focus for both companies, and this has resulted in both brands being favored by a youthful and fashionable market that is into casual yet trendy high-end wear. Ralph Lauren always strive to emphasize its concept of brand value, and in this regard, it has always come in ahead of the competition, including Tommy Hilfiger. While the Tommy Hilfiger Company has traditionally tried to address what it feels the customer wants, Ralph Lauren has tried to foster a community that relies in large part on brand association. 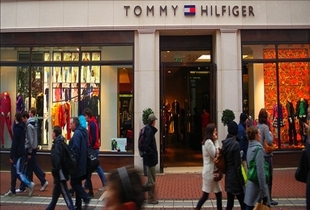 Tommy Hilfiger has countered this with the emphasis on the “Tommy Spirit,” and its subsequent development of a line that embodies the “American Dream”. 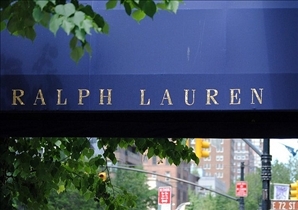 Ralph Lauren has traditionally had the edge over Tommy Hilfiger in terms of sales, and the company has also had higher prices to match. It must be said however that the Tommy Hilfiger Co. has recently taken steps to ease ahead of the competition. Among the steps that Tommy Hilfiger has recently taken is increased focus on its higher end lines, and even dropping–or at least reducing–its casual wear selections. This move was undertaken with the goal of reducing the risk of its products being "oversold" to the market, and is possibly a move to make the brand more "exclusive". Which designer label looks better in your closet? Both companies make products that fall apart. I have had seams fail on 50% of the Ralph Lauren & Tommy Hilfiger clothing I've purchased in the last 3 years. Never had this sort of thing happen before the last few years.